Legacy 2030 | Winston-Salem/Forsyth County Planning Board: What's Wake County Doing? 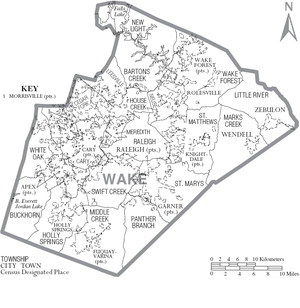 As with several other communities examined, Wake County features and participates in the NC Agricultural Farmland Trust Fund. Monies are allocated by the Wake County Soil and Water Conservation District for the purposes of agricultural agreements, sustainable agriculture, conservation easements, voluntary agricultural agreements and farmland preservation plans. Additionally it has an open space program, which is defined as protected land that is owned and managed in the public interest for things such as the protection of water quality, the preservation of natural resources, the managed production of forest and farmland resources, the preservation of historic and cultural property and the protection of scenic landscapes and outdoor recreation opportunities.